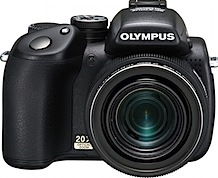 Olympus has launched the E-520, an update of its E-510 digital SLR camera released in June last year. 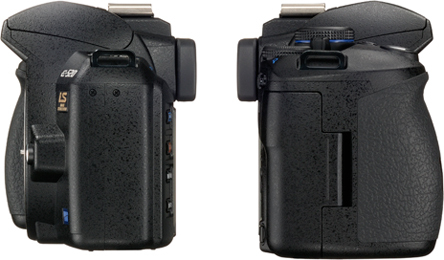 The key new features in the Olympus E-520 include in-body image stabilizer with a compensation effect of up to 4 EV steps allowing image stabilization shooting across a wide range from super-wide-angle to super telephoto at up to 33x, enhanced "Live View" shooting with new "High-Speed Imager AF", "Face & Back Control" for clearer reproduction of both faces and backgrounds, as well as a new 10-megapixel Live MOS Sensor and TruePic III image processing engine. Other features of the Olympus E-520 include: Dust Reduction System, 3.5 frames-per-second sequential shooting, Built-in flash with wireless flash control, Continuous AF mode with improved focus tracking, 11-point multi-area auto focusing, "Perfect Shot Preview" function to compare the results of various effects before actual shooting, ISO Sensitivity up to 1600, and a new 2.7-inch HyperCrystal II LCD monitor with improved visibility in Live View shooting and picture playback. Perfect Shot Preview enables photographers to view and select White Balance and Exposure Compensation effects right on the LCD, and see how the image will look before they even capture it. This entry was posted in Digital Cameras, Olympus and tagged Olympus DSLR, Olympus E Series, Olympus E-520 on May 14, 2008 by jonathanb. Trusted Reviews has reviewed the Olympus Stlus 1030 SW, a rugged little camera with 10.1 megapixel point and shoot camera with a 3.6x wide angle optical zoom lens, 2.7 inch LCD monitor. The 1030 SW is shockproof, waterproof, freeze proof, crushproof and dustproof. This entry was posted in Digital Cameras, Olympus and tagged Olympus, Olympus Stylus 1030 SW, Olympus Stylus Series on April 18, 2008 by jonathanb. Lets Go Digital have reviewed the Olympus E3, a digital SLR camera featuring 10.1 megapixel Live MOS image sensor (with live preview), five frames per second shooting, 2.5 inch LCD (able to be tilted and swiveled), 11 point auto focus sensor and shutter speed range up to 1/8000. They write: “The image quality the camera is offering is excellent, although not belonging to the top. At high ISO noise is visible and the dynamic range decreases fast. It requires correct exposure but the E-3 tends to overexpose somewhat. Colour reproduction is fine and so is the sharpness. All in all the Olympus E-3 impressed greatly. It is a very well thought-out camera with emphasis on the user. That doesn’t go for many other camera brands. 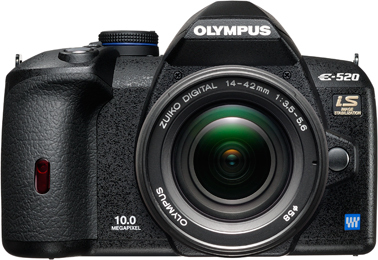 I won’t be surprised to see many E-1 users making the step to the Olympus E-3 after having waited all this time. Just as potential buyers from competitive brands will probably start looking at the Olympus and get convinced. 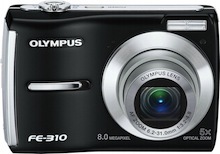 I am also curious as to how the Olympus E-3 will be received by the professional photographer. 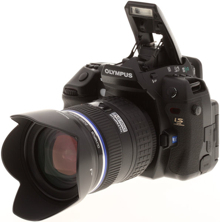 The Olympus E-3 is a real photo-beast, meant for the real stuff, very impressive!”. This entry was posted in Digital Cameras, Olympus and tagged Olympus, Olympus E Series on April 4, 2008 by jonathanb. The Olympus SP-570 Ultra Zoom (announced 22 January 2008) is a 10 megapixel digital camera with a massive 20x optical zoom (26mm – 520mmequivalent focal range). 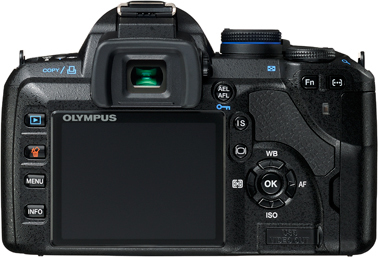 The ISO on the Olympus SP-570 Ultra Zoom is 50-6400 and allows full manual control. This entry was posted in Olympus and tagged Olympus, Olympus SP Series on March 12, 2008 by jonathanb.